The North Carolina General Assembly convened its 2019 Session on January 9, 2019. The 2019 Session is the first year of a two-year session and is commonly referred to as the “long session,” since the Session began in January and is expected to end sometime during the summer. A Weekly Legislative Report (WLR) is prepared by the North Carolina Sheriffs’ Association each week that the North Carolina General Assembly is in session. The WLR details legislation that is of special interest to sheriffs, sheriffs’ office personnel, and other law enforcement officers and criminal justice professionals in our State. 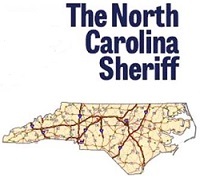 An annual Final Legislative Report is published by the North Carolina Sheriffs’ Association after the General Assembly adjourns each year and includes summaries of: (1) relevant bills enacted into law during that Session; and (2) relevant provisions of that year’s State Budget Bill. See below for a link to previous editions of the Final Legislative Report. For more details about legislative bills summarized in these reports, please review the actual legislation. 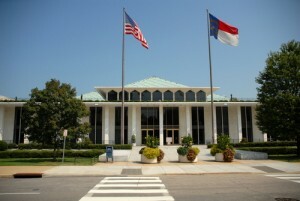 A copy of any of the legislation introduced or considered by the General Assembly is available on the General Assembly’s website: www.ncleg.net. The Weekly Legislative Report and the Final Legislative Report are provided at NO charge as a service to the sheriffs, the criminal justice community and citizens of North Carolina.